Within no time the concept of a compact SUV gained a lot of traction in the Indian market. That is because one gets the feeling of driving an SUV sitting high up along with its practical size for urban driving conditions and most importantly it doesn’t cost a bomb. We are seeing this segment getting crowded year after year but India’s largest ca rmaker Maruti Suzuki didn’t have anything to offer, until now. 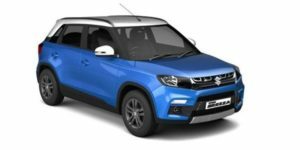 The Vitara Brezza has been engineered and developed entirely by the Maruti Suzuki team in India achieving high localisation. Looking at the price positioning and features offered, we are quite sure it’ll sell in big numbers but how does it perform in terms of drivability and practicality? We find out.